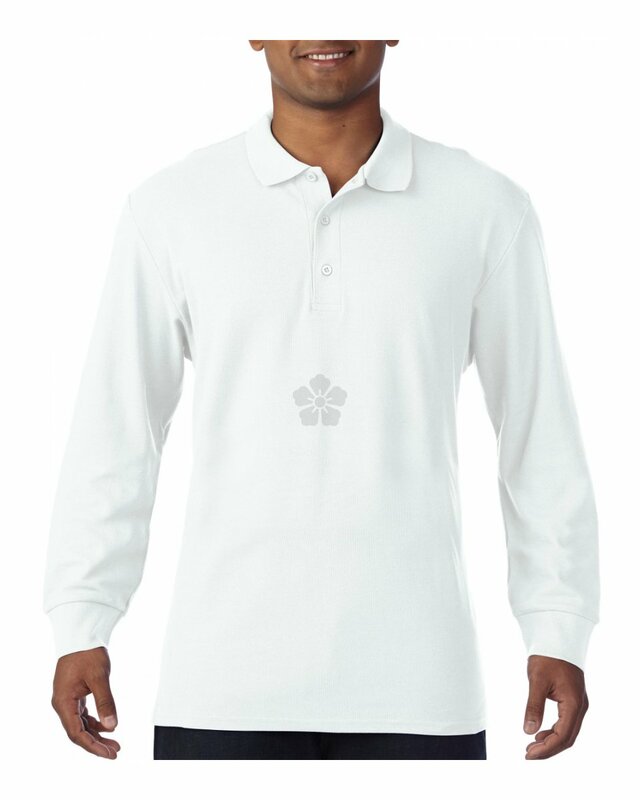 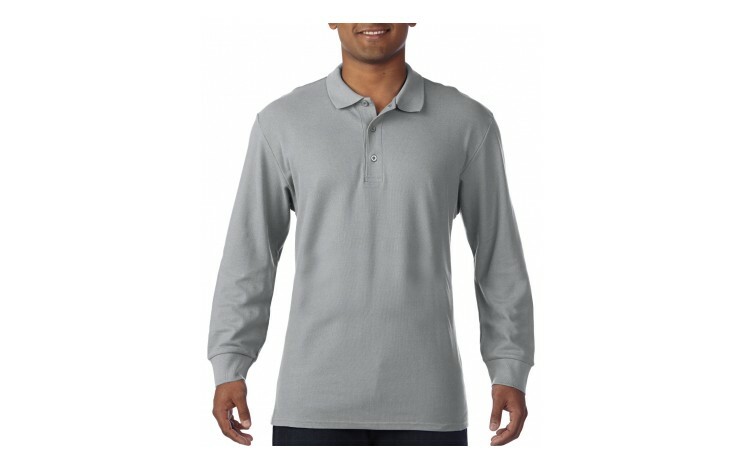 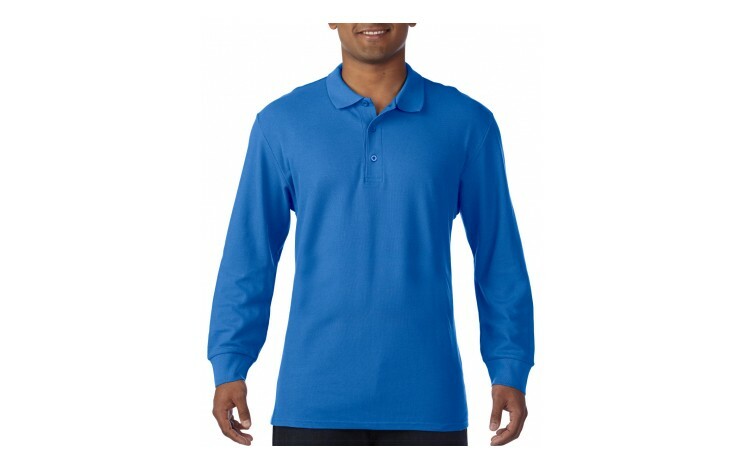 Smarten up your team with our custom branded Gildan Premium Cotton Adult Double Pique Long Sleeve Polo Shirt. 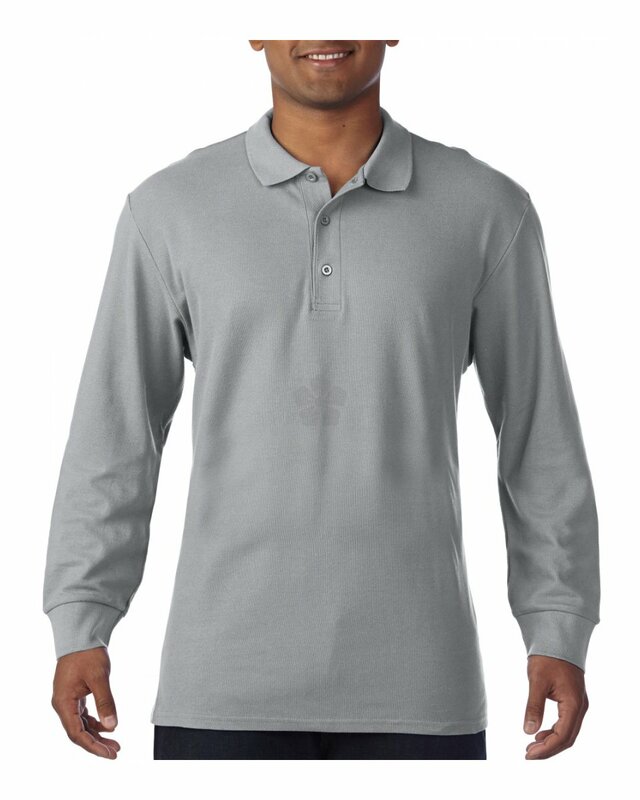 Made from 100% combed ringspun cotton, the 214-223gsm pre-shrunk material offers a soft and comfortable feel, with a fashionable fit. Available in 6 smart colours, with three self coloured buttons, you will be sure to find an option that works with your brand. 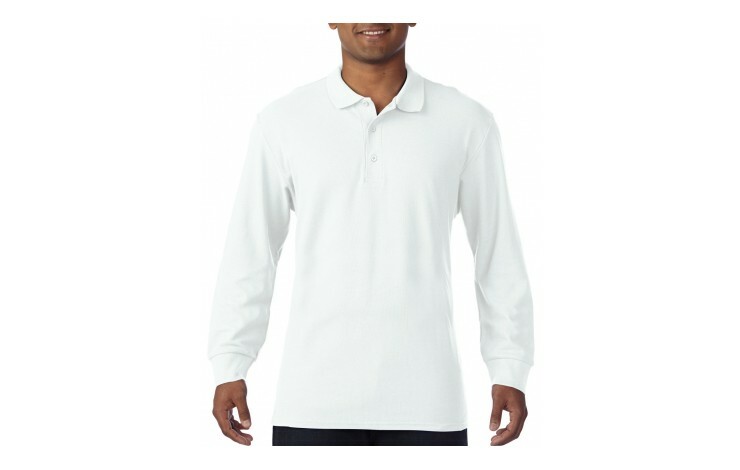 Standard prices based on white garments embroidered with your design to the left breast in up to 6,000 stitches. 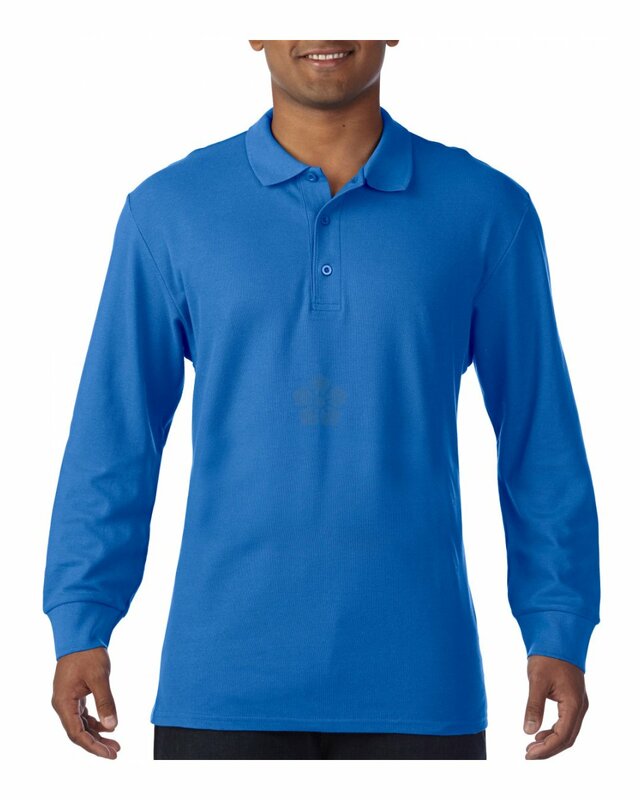 We have a range of branding techniques and positions available POA.